On a recent visit with my mom, I received the usual question: “What is it that you do exactly?” I typically use a chip replacement example with mobile phones to illustrate value engineering. My mom studied anthropology. She still struggles with the difference between emails and texts on her phone. Nevertheless, as I’ve been working in tech, I trudged on with the illustration. For example: the phone we bought two years ago came with a chip—let’s say the chip cost $10 then. Today, because of technology innovations (Moore’s Law), that same chip may cost only $5. If you ship the same phone with the lower cost chip and sell it at the same price, you made money. Say they sell 10 million phones, they just saved $50 million. $50 million here, $50 million there, pretty soon you’re talking real money. Value engineering positively impacts profitability. 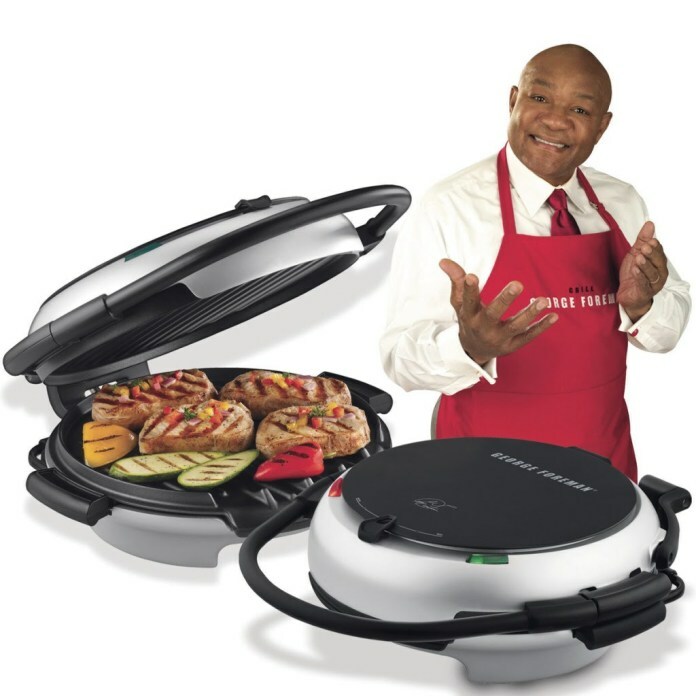 She said, “oh, I think I get it.” “It’s sort of like my George Foreman electric bar-b-que. I just replaced it and the new one has a plastic grease trap whereas the old one had a metal one.” Mom’s a quick study. One of the more successful value engineering projects I worked on in Silicon Valley was the replacement of a metal fan tray with a plastic one—it saved millions. What we do is bundle individual value engineering projects into an investment portfolio. We use our proprietary software, Quanta AI, to maximize the investments. Quanta AI ensures the proper combination of value engineering investments aligns with margin management strategy. Value engineering ensures companies meet profitability targets and keep their investors happy. Most large technology firms have externally-focused venture capital arms to foster innovation, expand market segments and develop new technologies. Internal corporate venturing can also provide innovation, support strategic goals and positively impact gross-margins. Value engineering, using an internal corporate venture model, is an effective and efficient use of scarce capital and resources. An internal venture model creates a competitive marketplace, spurs innovation, moves the margin needle and builds value engineering into a firm’s culture. The concept of internal corporate venturing is simple. Ringfence an annual budget to accomplish a specific task in a non-traditional way—in this case value engineering. The venture-capital aspect is the competition for funding. As business unit budgets are consistently cut, value engineering often loses to new product introduction. As value engineering projects can yield millions of dollars, margins inevitably suffer when VE is neglected. If the CFO cares about value engineering, everyone else will care. Executive buy-in is imperative. In a venture model, projects compete in a “shark-tank type” business case presentation. Only the highest returning combination of projects are selected. A funding split with business units—specific project costs are shared by both entities—ensures all stakeholders have skin in the game. Once the tranche of capital is allocated, fund managers and executives track metrics, performance and measure margin impact. Over time value engineering becomes baked into the firm’s strategy: engineers design for value and first customer ship dates are followed by a value engineering effort (tick-tock). As a portfolio of value engineering projects gains momentum (investments delivering returns), the impact to margins are amplified. At any given point, previous investments positively impact current margins. This raises the power of the investment exponentially. The results can be staggering—such as triple digit internal rates of return. Technology firms suffer constant margin pressure on products already on the market (in the sustaining life-cycle phase). Value engineering reduces product cost most commonly through component replacements, material changes and part eliminations. The value extracted does not impact core function; in fact, it often improves it. Value engineering projects have the most impact on a firm’s gross margins when bundled into a portfolio. Over time, portfolio returns are amplified as multi-year investments come to fruition. This is a key margin management lever. Mark Streich and I met at the Thunderbird School of Global Management ten years ago. We recently reconnected at npv10 to champion Quanta AI in the technology sector. After finishing the MBA program, I spent five years as a value engineering fund manager for a Fortune 500 Silicon Valley company, and my work intrigued Mark, a serial entrepreneur and trained computer scientist in the Silicon Valley. He spent the past few years developing portfolio optimization AI for the oil and gas industry. In a single-click, executives can model hundreds of wells with differing production, investment and revenue streams to support decision making with data. He also tested his platform in real estate with top-notch results. A manually managed portfolio can be optimized by over 20 percent using this tool and approach to help guide strategy with data. This proprietary platform is the bedrock for Quanta AI. We are targeting value engineering as it dovetails with our Silicon Valley experience. Additionally, Quanta AI can also support resource allocation for new product introduction, as well as research and development. If there’s a portfolio with multiple complexities and a myriad of variables, Quanta AI can optimize it. Astoundingly, large firms still rely on program managers using Excel to crunch large data sets. This approach is cumbersome, time consuming and futile as a method to capture the most valuable combination of projects. Quanta AI incorporates all potential variables and provides optimum outcomes based on goals the investor wishes to model. Risk, predictive analytics and forecast variability are all incorporated into a single repository. The algorithms generate forward-looking data and metrics to determine if future investments are aligned with goals and resources. Savvy investors can decide—with a click—which investments to buy, sell or hold relative to a choice of financial targets (e.g. NPV, IRR, cash flow, debt to equity, payback period, etc). In my value engineering portfolio management experience, we needed Quanta AI. Managing hundreds of investments with various return profiles manually is outdated, unnecessary and inefficient. As Mark says, “That’s what computers are for.” And that’s what Quanta AI is for.